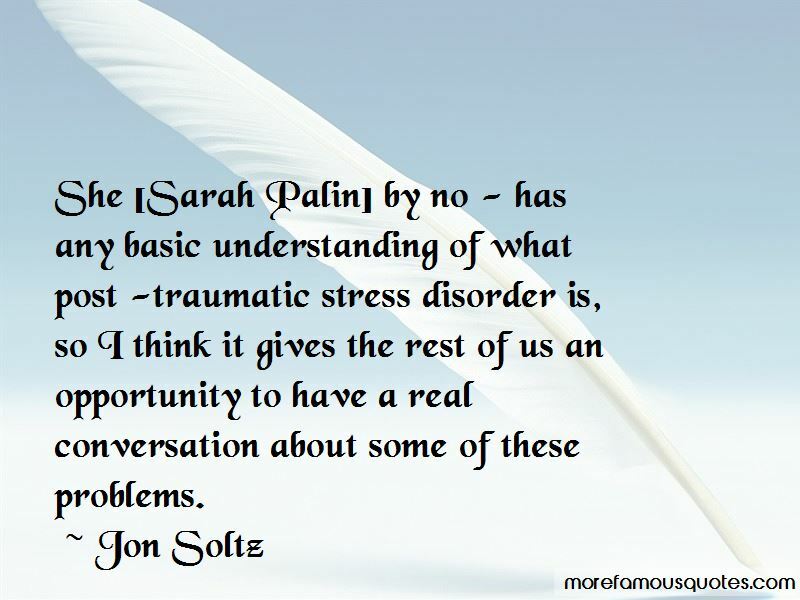 Enjoy the top 4 famous quotes, sayings and quotations by Jon Soltz. 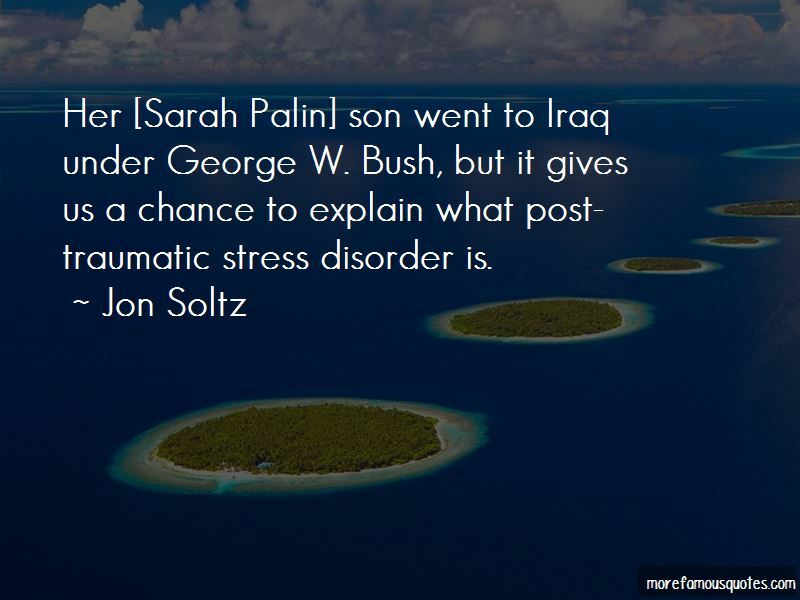 Her [Sarah Palin] son went to Iraq under George W. Bush, but it gives us a chance to explain what post-traumatic stress disorder is. 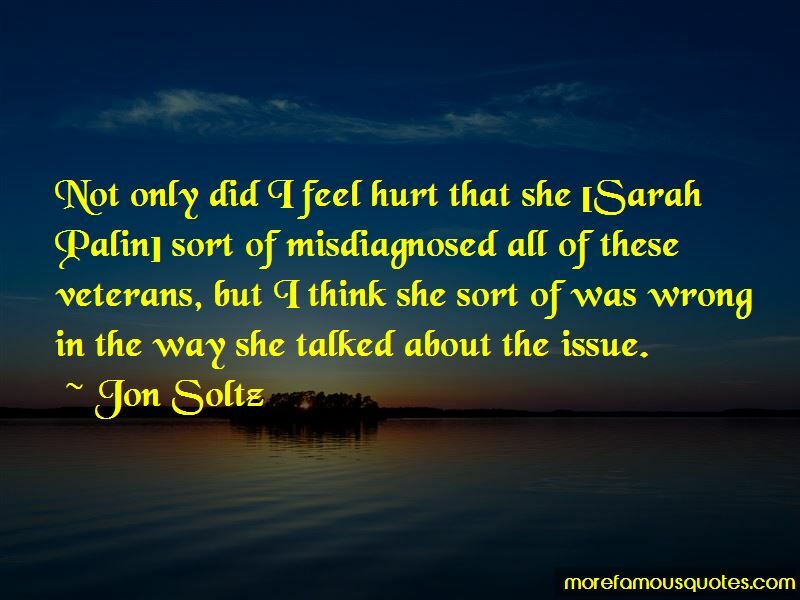 Want to see more pictures of Jon Soltz quotes? 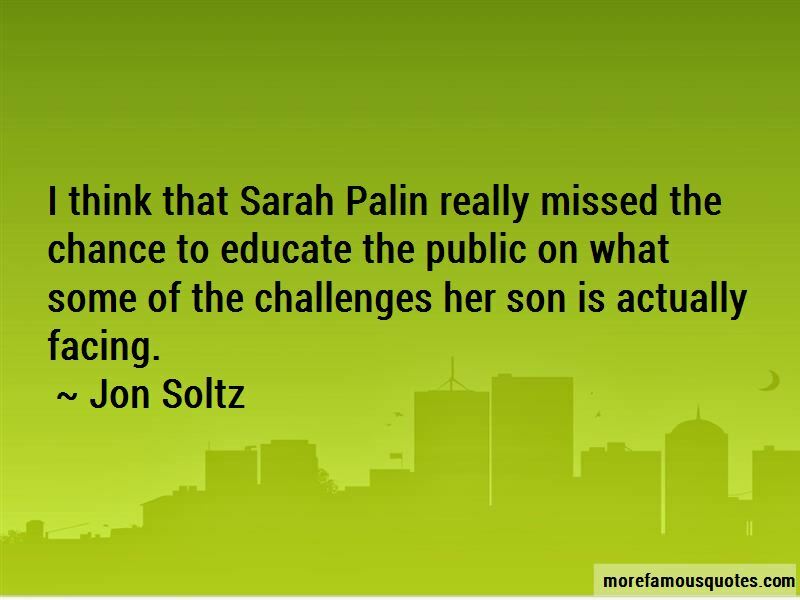 Click on image of Jon Soltz quotes to view full size.